The market moving M&A or M&A moving the market? Levels of merger and acquisition (M&A) activity have historically moved with the stock market. 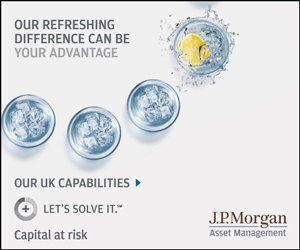 Zach Chadwick, an analyst within the J.P. Morgan Asset Management UK equity team, looks at how this cycle has been no exception and discusses some common behavioural biases. Levels of merger and acquisition (M&A) activity have historically moved with the stock market—and this cycle has been no exception. As the economic cycle has picked up, so too has global M&A activity risen, as companies with high levels of cash on their balance sheets and low levels of borrowing look for ways to expand. Source: Bloomberg as at 20 April 2018. In the UK alone, we have seen takeover bids for more than 10 FTSE All Share companies in the past four months. Holding these stocks when the bids were received would have provided a nice return for investors, but what about the acquirers? If their bids are successful, how might they fare? Typically, in the three years post-acquisition, the share price of the acquiring company has underperformed similar peers by the order of 5-15%. Despite this historical underperformance, management teams continue to pursue deals. A number of theories have been put forward to explain this, many of which are rooted in the psychology of the acquiring management team. The effect of behavioural biases on investors is well documented, and the terminology has even made its way into common rhetoric when discussing share prices: “an overreaction” and “following the crowd” (herding) to name two. It is then rational to assume that company management teams will be similarly affected when investing shareholder capital. These biases tend to be the result of intuitive thinking, and can be extremely value destructive in M&A deals. Statistically, the chance of survival for a small business within the first five years of its existence is 35%. But when entrepreneurs are asked to assess the future of their own business, the general consensus is a success rate of higher than 70% (Kahneman, 2011). This clearly demonstrates that people overestimate their ability—an overconfidence that leads managers to overestimate potential synergies and underestimate the risks of a deal. Even if managers are aware that M&A is value destructive, they are likely to believe that the deal(s) they engage in will be successful. One study found that the odds of a manager making an acquisition are 65% higher if the CEO is classified as overconfident, and this is exacerbated if the deal is diversifying and does not require external financing (Malmendier and Tate, 2008). For these “confident” CEOs, the market reaction to the merger announcement was -90bps, vs. only -12bps for non-overconfident CEOs. The latter stages of a bull market can compound the problem. Overconfidence is particularly prevalent in people who have reached elevated positions within firms, as their assessment of their own abilities may have been exaggerated by previous successes, many of which could be down to fortunate timing/luck. At the end of a bull market, when a company’s performance has been driven by exogenous factors such as a period of cheap debt or synchronised global growth, managers may be particularly prone to overestimating their own ability. Confirmation bias can simply be defined as a person’s desire to find information which agrees with their existing pre-conceptions, and is a common side effect of overconfidence (Montier, 2002). This bias can be particularly pernicious in the initial stages of a merger or acquisition, when management are often presented with a bullish outlook on the deal. This may come either from internal sources, or from a corporate broker looking to please a management team known to be looking for a deal, and excited by the potential fees on such a deal. Having been presented with the potential upside at the outset, company managements then have a tendency to place greater weight on subsequent information that supports this positive view, and ignore/place less weight on contradictory figures. It is also no surprise that the team supporting the CEO will generally want to supply information that supports his or her view, so this bias is passed down the management hierarchy in a self-fulfilling spiral of biases. Combined with the confirmation bias is a feeling that, once invested in a deal, there is a degree of sunk cost of time and money. In the case of a rival bidder joining the fray, this view may lead to further bids, stretching the original valuations that made the deal look so attractive in the first place. Not only does a rival bidder confirm management’s opinion that there is value in the acquisition, but it can make management feel that losing the acquisition will be doubly bad: not only do they not get it, but also a rival gains the advantage. This can lead to the “winner” overpaying – the dreaded “winner’s curse”. How to assess the management behaviour that underpins a deal? Looking at how the deal is funded can offer an insight. Equity financing has been found to become relatively more attractive in periods with relative high market capitalisations (Ang and Cheng, 2006). If management see their shares as expensive, they see equity as a cheap source of funding, and will view the acquisition more optimistically. Interestingly, the evidence suggests that acquisitions financed with equity tend to underperform relative to those funded with cash. Does the acquiring company have good corporate governance, with strong independent directors that can contain overenthusiastic management? Is the bidding process competitive, potentially leading to the dreaded “winner’s curse”? Is the acquisition financed by cash (good) or shares (bad)? Is the acquisition in the same industrial area? Diversifying acquisitions are often poor uses of shareholder capital. We can anticipate that a recovery in M&A will help support the overall stock market, but it will be important for investors to examine the merits of the individual deals very carefully. For Professional Clients – not for Retail use or distribution. Zach Chadwick is an analyst in the J.P. Morgan Asset Management UK Equity Group.